Helping the Kurds achieve independence has often been touted as a solution to many of the Middle East’s ills. But it’s just as likely to make things even worse. In the treacherous landscape of the Middle East, American foreign policy has come to rely ever more on alliances with “the Kurds.” They are the pro-American ones, the Good Guys of the neighborhood, the ones who love democracy and stand firm against jihadism. In Iraq, the Kurdish Regional Government (KRG) provides a stable base for American operations against the Islamic State, even hosting an expanded local CIA headquarters near its capital of Erbil. In Syria, the only ally the United States has managed to achieve any meaningful impact with is the Kurdish People’s Protection Units, or YPG. Accordingly, the U.S. has praised these groups, armed them, feted their leaders, and provided them air support going back as far as 1991. But the U.S. should never mistake the groups that represent the Kurds of Syria and Iraq as a solid foundation on which Mideast policy can be built. Kurdish internal politics is a twisted mess that spans four countries, involves tens of millions of people, and requires the mastery of more than a dozen three-letter abbreviations to understand. The Kurds contain multitudes, and the stability that has existed in recent years is now threatened from both within and without. In the KRG, fissures between the Kurdish Democratic Party (KDP) and the Patriotic Union of Kurdistan (PUK) are widening substantially, with the pendulum of Kurdish power threatening to tip back towards the latter. In Syria, the YPG, our allies, are trying to chart a course that preserves their autonomy, which has been allowed in the short term but ultimately contradicts the goals of Turkey, which is also our ally. The U.S. remains hampered by one simple fact: At no point in the last two decades has the government articulated a consistent, coherent vision for the Kurdish people. The Kurds have frequently been viewed as tools, and their groups’ political objectives not taken at face value. American support has empowered Kurdish actors like never before—but without stepping back and taking the long view, without thinking too long and too hard about the consequences tomorrow of choices made today. The looming result is this: The delicate Kurdish balance that America has come to depend on could soon come crashing down like a house of cards. And America’s enemies may get the first shot at rebuilding. The American love affair with the Kurds began more than two decades ago, when reports of Saddam Hussein’s genocide against the Kurds of northern Iraq garnered widespread sympathy. In 1989, William Safire excoriated President George H.W. Bush in The New York Times, urging him to punish Hussein and “give hope to a homeless nation,” even comparing the plight of the stateless Kurds to that of Soviet Jewish refuseniks. Especially poignant in the American imagination was the Iraqi regime’s horrific use of poison gas on Kurdish civilians. Though the U.S. failed to intervene at the time, and instead cynically supported Hussein as a counterweight to the Islamist regime of Iran, America’s drumming of the Iraqi Army in the 1991 Persian Gulf War gave the Kurds an opening to revolt. The Kurdish militias—known as Peshmerga, meaning “those who face death”—quickly seized control of the cities of the north, but were soon subject to withering assault by Hussein’s artillery and helicopter gunships. 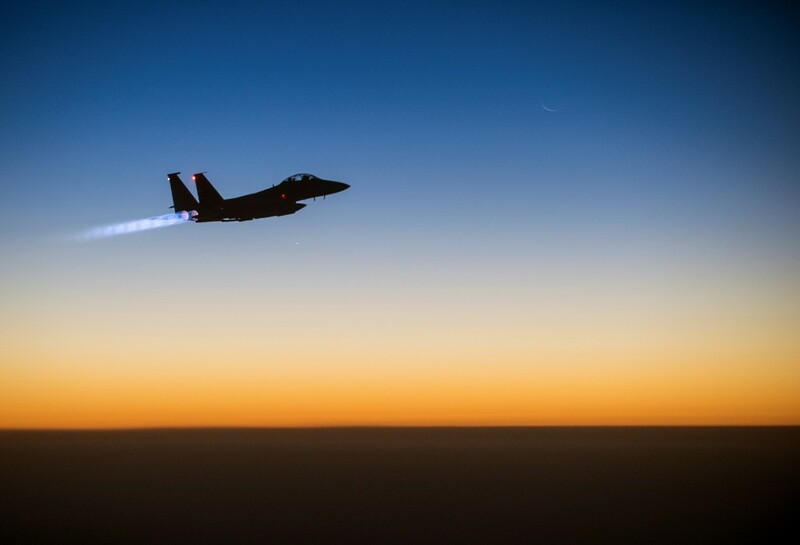 The U.S. bowed to popular pressure to prevent further massacres, and launched Operation Provide Comfort, which saw U.S. airpower force Iraqi troops to retreat from Kurdish areas, enabling the Kurds to achieve de facto independence as the Kurdish Regional Government. So when the U.S. began occupying Iraq 12 years later, they found in the Kurds a large, broadly pro-American populace that had already had years of experience in self-government. The intervening years hadn’t all been smooth, to be sure—a civil war raged between the two major Kurdish political factions from 1994 to 1997. But the Kurdish region was a bastion of stability as Iraq flew to pieces in throes of sectarian violence in the mid-2000s. “Here you feel that instead of wanting to shoot you, people want to help you,” an American soldier said to the Los Angeles Times in 2003. “And people are actually happy to let you help them.” During the entire Iraq War, not a single American soldier was killed in Iraqi Kurdistan. American respect for Kurdish troops grew during the war, and Kurdish troops were often deployed to replace Americans during the drawdowns of the late ‘00s. When the Islamic State launched a blitz on Mosul in June 2014, the Iraqi Army melted away, but Kurdish forces largely held firm. One of Hillary Clinton’s emails from August of that year, recently released by WikiLeaks, described the Peshmerga as “aggressive hard fighting troops, who have long standing relationships with CIA officers and Special Forces operators.” This is in sharp contrast to a later paragraph which asks “what, if any, reliable units exist in the Iraqi Army.” It was Peshmerga who launched the first counterattack on IS in 2014, capturing the Mosul Dam with American air support. 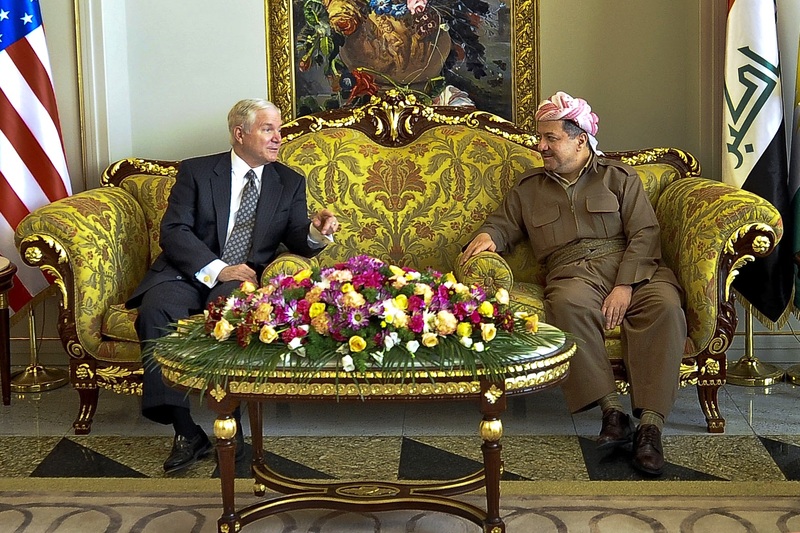 Accordingly, American support to and reliance on the Iraqi Kurds grew. 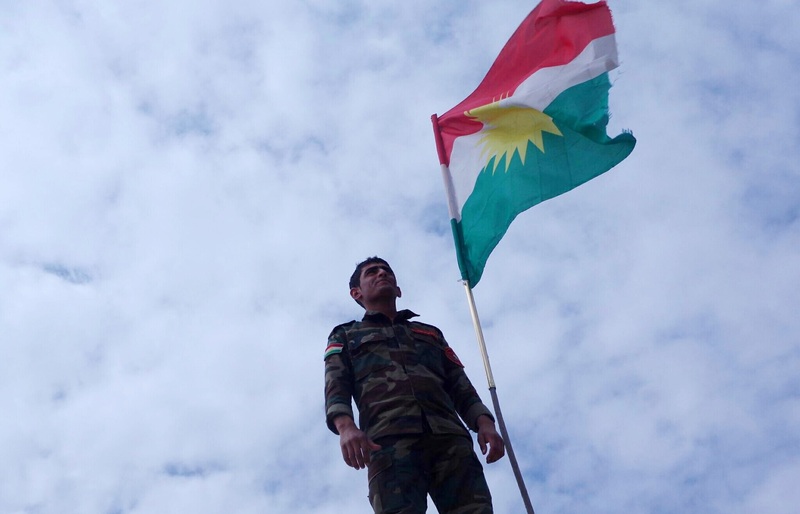 As recently as April, the U.S. gave Peshmerga forces an additional $400 million in aid. A similar story has been playing out in Syria. When President Bashar al-Assad used deadly force to put down Arab Spring protests in 2011, the country fractured. Significant numbers of soldiers defected, civilians around the country rose up in revolt, and Sunni Islamist groups began waging jihad against the regime, which is dominated by a Shiite sect, the Alawites. Amid this mess, the Kurds who live in Syria’s north smelled opportunity and formed the YPG with assistance from Kurdish rebels from across the border in Turkey. The YPG took control of Syria’s three major Kurdish regions in 2012 and tried to withdraw from the fighting. In October 2014, the Islamic State moved in on the YPG-held Kurdish city of Kobani in northern Syria. Stories abounded of IS’s cruelty and the YPG’s bravery, with special attention paid to the latter’s acceptance of female soldiers in their ranks. The Obama administration had been loath to intervene in Syria for years, in a situation that forms an interesting parallel to George H.W. Bush’s reluctance to intervene in Iraq. Once again, the U.S. was worried about upsetting a carefully crafted balance of power; once again, popular outcry was mounting against a Middle Eastern tyrant who used poison gas against his own people; and once again, the U.S. ultimately decided to intervene on behalf of the Kurds. Without a clear alternative, the YPG became key to American Syrian policy. The successful defense of Kobani was followed up by even more successful offensive operations against IS strongholds like Tal Abyad, Ayn Issa, and al-Hawl. By late 2015, the U.S. was providing close air support for YPG forces, numbering well over 10,000, in offensives against IS every couple of months. Kurdish forces have proven to be America’s best allies against the Islamic State, as they have deprived IS of a third of its former territory in Syria, and a quarter in Iraq. But these successes have empowered Kurdish actors in ways the United States has cautiously resisted in the past. The ultimate goal of most Kurdish entities is an independent state, as the Kurds are arguably the largest ethnic group in the world without one. Yet, this goal puts them on a certain collision course with the governments that currently have real or nominal rule over Kurdish populations: Iraq, Iran, Turkey, and Syria. The U.S. government has calculated that independence for the Kurds would likely lead to widespread violence, so it has for years taken steps to avoid helping the Kurds step in that direction. But with the shock of IS’ success in 2014, American foreign policy began focusing on short-term problems instead of long-term ones, like the future of the Kurds. So America has increasingly empowered Kurdish groups while still seeking to contain their ambitions. This is having 25 million people’s cake and eating it too, and it is, in the long run, completely untenable. Here’s how this works: The U.S. has offered the YPG support in order to defeat IS, a high-priority American objective. The YPG accepts American air support and weapons shipments not just because they want to vanquish IS from their lands, but because they seek to establish an autonomous region (at least) in northern Syria. The U.S. opposes such an autonomous region for fear it would provoke Turkey and prolong the Syrian Civil War. Yet, in supporting the YPG’s war, the U.S. has both enabled any claims to independence or autonomy that the YPG may make, and implicated ourselves in the sure-to-be-messy future of northern Syria. In Iraq, the U.S. has supported Kurdish Peshmerga in anti-IS offensives in Diyala, Nineveh, and Kirkuk provinces, which include Kurdish-populated areas that have long been outside Kurdish Regional Government control. In defeating IS, Peshmerga forces have taken control of these regions themselves. If these regions were to be fully consolidated into a contiguous KRG bloc, it would enable the Kurds of Iraq to finally move forward on independence, which 98 percent of the Iraqi Kurdish electorate endorsed in an unofficial 2005 referendum, but which the United States opposes. Independence for the KRG has become something of a cause célèbre, and the case for it has been made in publications as diverse as The Guardian and The Wall Street Journal. The hope is that the Kurds, who have proven less susceptible to violent extremism than their neighbors, will be able to forge a new independent democracy. 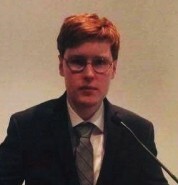 Women’s rights would be guaranteed, oil wealth would help the state build, and the pro-American Kurds would give the U.S. a permanent and palatable Muslim ally. From this point of view, American reluctance to give at least the Kurds of Iraq full recognition seems foolish and unethical. But there’s also a powerful case against Kurdish independence, and it is that case which has won the allegiance of the U.S. government’s analysts to date. An independent Kurdistan in northern Iraq would immediately be a landlocked nation, surrounded by four countries that all would have good reasons for overwhelming suspicion and cynicism towards the nascent state. Turkey, Iran, and Syria all have Kurdish minorities that seek independence, and therefore would not countenance a truly independent Kurdistan in Iraq. The Iraqi government is loath to give up its budgetary control over the oil and gas in the KRG and areas the KRG now occupies. Already, the expanded footprint of the Peshmerga has led to clashes with Arab militias at the edges of Kurdish control. So a newly-independent Kurdistan would likely find itself isolated, unable to acquire weapons or sell oil unless it decided to re-enter into a sort of vassalship with one of its neighbors, similar to what it currently has with Baghdad. 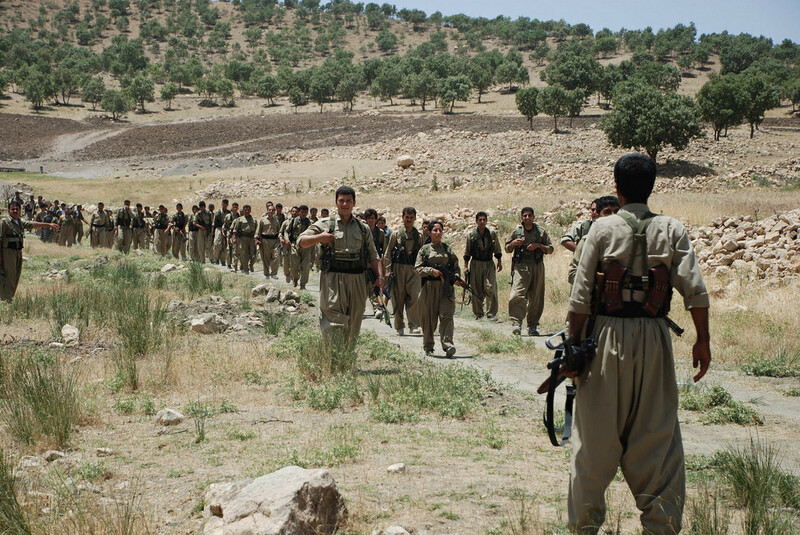 Moreover, if Kurdish guerrilla groups fighting in Turkey or Iran continued to try to use the new Kurdistan as a base of operations, outright war could break out. Turkey has already proven willing to station troops in northern Iraq without consent of the Iraqi government. The situation in northern Syria is similar. The YPG in Syria are not merely related to, but quite closely affiliated with the PKK that fights the Turkish government right across the border. The prospect of a lasting YPG government in northern Syria is so terrifying to Turkey that they have proven willing to give tacit support to IS as a counterweight. If the three noncontiguous Kurdish regions of northern Syria were all unified, Kurdish autonomy in the region would look much more viable; Turkey has threatened to invade northern Syria if this happens. The U.S.-backed push for largely-Kurdish forces to liberate Manbij in northern Syria has already triggered Turkish bombing of YPG forces. Finally, if a major conflict is triggered between Turkey and one of America’s Kurdish partners, the geopolitical balance would force America to ultimately acquiesce to the Turks. The Kurdish partners have been helpful, and many Americans are still hopeful that Kurdish democracy can blossom. But Turkey has the 9th-largest military on the planet with more than half a million active duty soldiers, is a key growing economy, and has been a NATO ally for more than half a century. The U.S. may find Turkey’s Kurdish policy abhorrent, but trading a key ally for a minor power with an uncertain future is not a move the US is likely to make. Instead of embracing the advantages and drawbacks of either independence or the status quo, the Obama administration has tried to have it both ways, resulting in a contradictory mess of policies, and moving us towards the worst of both worlds. Uncertainty about future U.S. support for Kurdish groups is encouraging them to seek other patrons. In Iraq, the U.S. continues to insist that the Kurds rely on the horrifically war-torn, systemically dysfunctional, and unspeakably corrupt Baghdad government as its singular conduit to the outside world, even as U.S. dealings directly with the KRG give it more credibility, and U.S. weapons shipments increase its military strength. In Syria, the U.S. plan for the Kurds after the war doesn’t seem to even exist. The only prescription is prolonged limbo, with both regional autonomy and reintegration to the nation (which at this point would mean the Assad regime) ruled out. So it is not surprising that the Kurds, emboldened by American military support, will overflow their narrow prescribed banks. American and Syrian Kurdish interests have aligned over the past two years, but a critical divergence seems inevitable. The YPG already senses this, and as a result is willing to take actions for its own future even when they run contrary to American interests, like working with Russia or attacking American-backed Syrian rebels. In both countries, Kurdish uncertainty about receiving American support in the future encourages them to change their circumstances as much as they can now. That sometimes means ethnic cleansing, which both the KRG Peshmerga and the YPG have now been accused of. Because these groups don’t have indications America would support their independence bids, they are heavily incentivized to remove obstacles to independence while they still have American support. Moreover, using Iraqi Kurdistan as an American base is becoming trickier. The stability that has made it so attractive to the U.S. is becoming increasingly untenable thanks to territorial changes following the outbreak of war with IS, changes which were in no small part achieved with U.S. support. The two major Iraqi Kurdish parties, the KDP and the PUK, reached a rough power-sharing arrangement in the late 1990s that has held for nearly two decades. Under the agreement, the two parties, each led by a major Kurdish family, divide control of the KRG: the KDP gets the north and west, and the PUK gets the east and south. Ministries are split between the two. The KDP, which has deeper Kurdish tribal support and carries the banner of Kurdish independence higher, has long been the more powerful of the two, and has accordingly controlled most of the key positions of the central government. The PUK, which has more Leftist and reformist elements, has been frozen out of the highest levels of power. But this balance has lately been upset. Kurdish gains in Iraq as part of the anti-IS fight have been made almost exclusively by PUK-allied forces. When the Iraqi Army melted away in 2014, primarily PUK forces captured Kirkuk, the oil-rich historical capital of the Kurds. 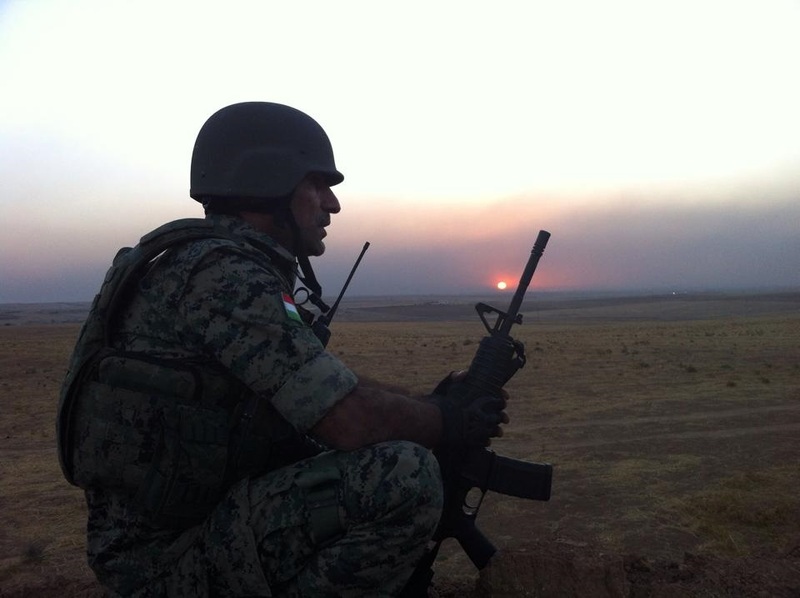 Kurdish advances into Diyala Province have also been made by PUK Peshmerga. However, the KDP has been unable to extend its rule significantly into adjacent territories as part of anti-IS efforts. Mosul sits right across from KDP territory, but the push to retake Mosul, coordinated with the U.S., is being conducted by the Iraqi Army with Kurdish involvement deliberately minimized where possible. Meanwhile, at the Western rim of KDP territory, where the Yazidis are concentrated around Sinjar, KDP influence has actually receded. Locals can’t forgive the KDP Peshmerga for abandoning their villages to IS in July 2014. This area was eventually liberated from IS, but in part by YPG who crossed the border to fight in Iraq with U.S. support. The YPG and PKK have lately aligned with the PUK. In other words, the PUK has gained along three important fronts, and now holds Kirkuk, often described as the Kurdish Jerusalem. Strengthening their position even more is widespread dissatisfaction with the KDP regime and its leader, KRG President Massoud Barzani, who has served in office three years past the end of his elected term, which was extended by the then-KDP controlled parliament. Gorran, a protest party against factionalism, corruption, and inaction, has thrown its lot in with the PUK in a new coalition deal negotiated with Iranian assistance in May. PUK and Gorran together now have one more seat in the KRG parliament than the KDP. For the first time in twenty years, and to a significant extent as a result of American-enabled territorial changes, the PUK has a chance to become the dominant player in Kurdistan. Barzani and his allies (like his nephew Nechervan Barzani, who just happens to be the KRG prime minister) aren’t going to take this lying down. One potential way for Massoud Barzani to further secure his own power is to speed up full Iraqi Kurdistan’s independence, but on his own terms. Barzani’s solution to the isolation problem has been to put all his hopes in Turkey. 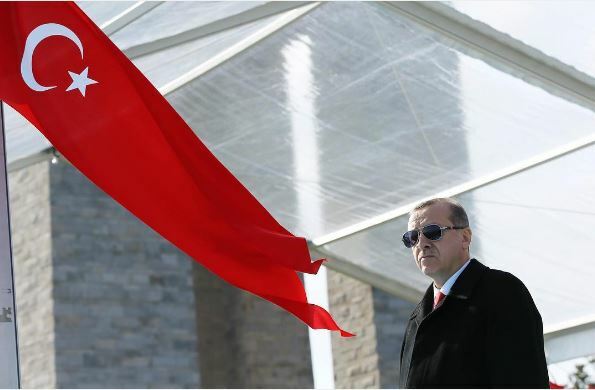 It may seem counterintuitive that fear of Kurdish separatism at home would motivate Turkey to support it in Iraq, but the idea for Turkey, and its nationalistic leader, President Recep Tayyip Erdogan, is that an independent Kurdistan controlled by the KDP and aligned with Turkey would quickly become dependent on Ankara as its conduit to the outside world, and as a route through which to sell oil and gas. A Turkish-aligned KDP would have little choice but to suppress PKK rebels taking shelter in northern Iraq and crack down on pan-Kurdish sentiments. Such an arrangement would help to ameliorate some of the KRG’s problems. But by empowering a strongman and keeping Kurdistan dependent on a foreign power, it would also pose a high risk of squandering the Kurds’ political diversity and democratic values, traits that make them promising allies in the first place. Independence on the basis of a KDP-Turkey alliance would dramatically exacerbate the biggest current threat to Kurdish democracy: Barzani’s system of political patronage. Since Turkey is deeply unpopular among Iraq’s Kurds (thanks largely to its crackdown on its own Kurds), a Kurdish government highly dependent on Turkey would tend towards undemocratic suppression predicated on perpetual KDP rule. For the PUK to win an election would be for a PKK ally to come to the fore—precisely the opposite of Turkish objectives. Independence and a move towards Turkey would also reduce U.S. leverage over Kurdish politics, which it has consistently used to push for even-handed governance, much to Barzani’s chagrin. For example, the U.S. refuses to train Peshmerga units that are officially affiliated with either of the major parties, in order to push for non-partisan defense forces. U.S. support is always to some extent conditioned on human rights and public opinion, giving countries receiving it at least some incentive to follow humanitarian law. All this looks rather frightening for the PUK, as they would be forced to either be willing to give in to KDP national level governance, or look elsewhere for support. That elsewhere is Iran. PUK connections to Iran go way back; the party founders spent years being supported by Iran against Saddam Hussein. Iran began investing substantially in Iraqi Kurdistan just as America left Iraq in 2010-2011, sensing opportunity in the coming vacuum. 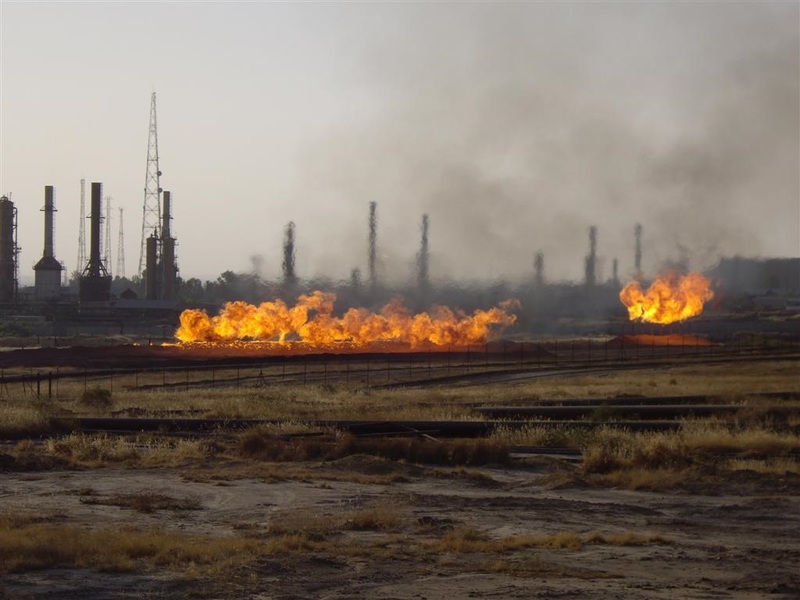 Iran provides a market for oil from PUK-dominated regions, as well as military advice and equipment, including via some small-scale deployments of the Iranian Revolutionary Guards Corps. The short-term objectives of Iran are to combat American and Israeli influence in Kurdistan, gain influence over the Kurds to bolster Shiite Iraqi allies, fight IS, and deny Iranian Kurdish rebels bases in the KRG. But in the long-term, Iran likely hopes to turn the PUK into a new flower in the Islamic Republic’s bouquet of proxies. There is still much that is unclear about the future of the Kurds. But what is clear is that the image of the Kurds—as a stable bulwark in the region that America can use to achieve its objectives—is looking less true than ever. The old order is crumbling, and American shortsightedness bears significant responsibility. By helping Kurdish factions overextend to fight IS, America contributed to an internal struggle that threatens to tear Iraqi Kurdistan apart, give Iran a new puppet, and set the stage for a new war in Syria. If these outcomes come to pass, then the American use of Kurds as a “quick fix” against IS may turn out to not have been a good call after all. Any plan based on Kurdish actors must weigh the needs of the present political balance and the long-term prospects for a solution to the Kurdish question against the short-term objectives sought. American policy since 2014 has heavily favored the latter. All that remains now is to see how high the price for that will be for all involved.